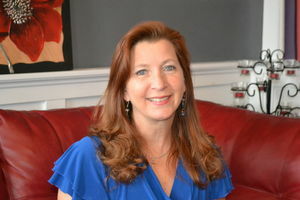 Cynthia Cramer is an early intervention therapist, meaning she works with children from birth through age 3. When people ask Cynthia Cramer how can young children need occupational therapy, she asks them what is a child’s occupation. Cramer, 52, of Somerset, has been a contracted provider with Bedford-Somerset Mental Health and Mental Retardation since 1995. She works in both counties and averages 12 to 19 clients a week. She is an early intervention therapist, meaning she works with children from birth through age 3. They have to have a developmental delay of 25 percent or more to qualify. The children may have Down’s syndrome, cerebral palsy, a seizure disorder, spina bifida, a diagnosis of autistic spectrum disorder, failure to thrive or other developmental delays. She loves her job and said that the most challenging thing is putting children into positions that stress them out. Cramer likes seeing the children that she worked with after they’ve become older. She recently talked with a teenager who has Down syndrome whom she worked with as a young child. He didn’t remember her, but she was delighted to see how far he has come. She is originally from Central City and always knew that she wanted to go into the medical field. When she worked as a therapeutic activities aide at a nursing home in the early 1980s she knew that occupational therapy field was her goal. She earned her degree from the University of Pittsburgh. She works a lot with Amish in Somerset County and Old Order Mennonites in Bedford County. Those communities know who she is and that she will help their children. Ashley Ohler of Lambertsville said that Cramer worked with her older son, Bryson, now 2, who had torticallis, a condition in which the head persistently turns to one side. Cramer helped him strengthen his neck muscles. She now works with Ohler’s younger son, Gabriel, 10 months, who was born with spina bifida. Jessica Sims of Alum Bank, Bedford County, said that Cramer was the hope that kept them going after her son suffered a severe prenatal stroke. Cramer herself was a therapy patient. Four years ago, she had a brain tumor on the nerve that controls balance. She lost her hearing in her left ear. She then had to have a total knee replacement. She is married to Dane Cramer. She has three children from her first marriage: Heather Saylor, Bethel Park; Sarah Clementi and Andrew Bassler, both in college in Knoxville, Tennessee. She also has four stepchildren, two grandchildren and one step-grandchild. She said that her husband and children are very supportive of her career. She and her husband live in a house along West Union Street that is believed to be the oldest residence in Somerset. It was built between 1830 and 1850. Cramer enjoys designing home renovations. She is an avid knitter and seamstress and has made patterns for clothing. She knits hats and blankets for the neonatal intensive care unit at Conemaugh Memorial Medical Center in Johnstown. She also enjoys scrapbooking, hiking, knitting and kayaking and said she doesn’t sit still very well. Cramer said she can go into any kindergarten and tell which children did not crawl based on how they use their hands. Crawling is believed to be needed to develop hand and upper body strength.